With all things, it is typically the goal of any individual to improve their skill or proficiency. That is definitely the case for me when it comes to my sculpture. In particular, improving my skill at sculpting the human face has been my biggest focus. I have made quit a bit of progress over the last 6 years. After graduating with a degree in Fine Art degree from Bellarmine College in Louisville, KY, I did not focus on my art in any meaningful way. However, after being encouraged to join PYRO Gallery for several years, I finally got serious. I joined the gallery and now carve every day. I have attached some pictures to show the progress I have made in carving the human face. "Growth" is the first face I ever carved. Not bad, but needed some work You can see I avoided the mouth!. "Sylvanus" is the second face I carved. Again, I avoided the mouth. It is still very flat, but the eyes are more even. This piece is also very large scale so it was easier. "Francis" was the fifth face I had carved. The face is much rounder and truer than previous attempts. I am still avoiding the mouth at this point. 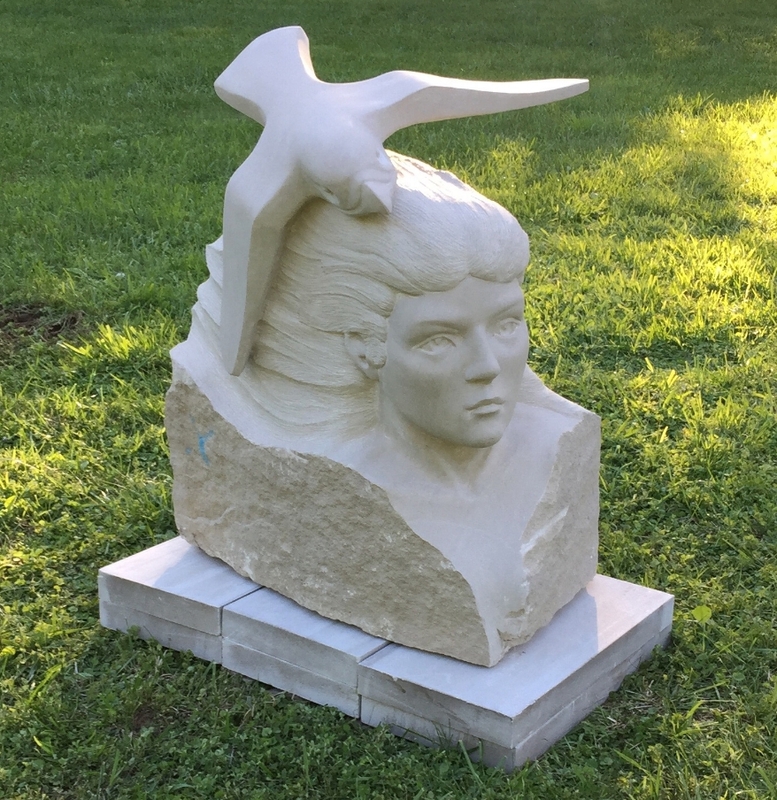 "Zephyr and Flora" were the sixth and seventh faces I carved. Again, much rounder and finally attempted a mouth. With Flora, I finally started to feel like I was getting it. "If the Spirit is Willing" is my ninth and latest face. She was just completed in May of 2017. Finally a full face. It has taken me a bit to get here. My nest steps are to work on expression.